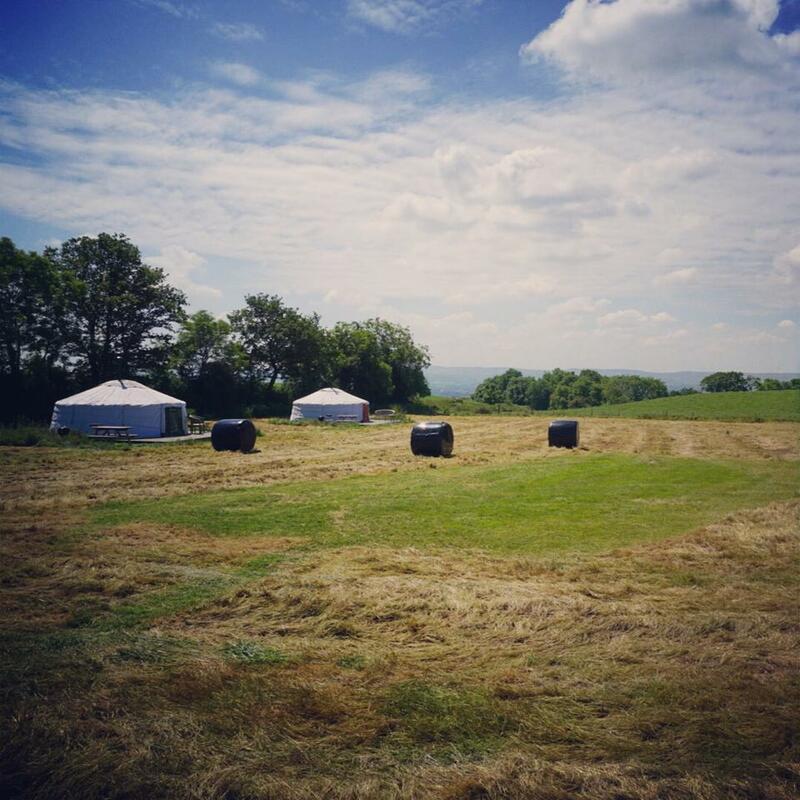 A busy morning at the yurts with another fully booked weekend, so all the yurts to make up. 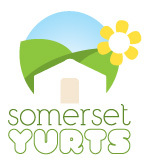 Lucky yurters again this weekend as there are nothing but blue skies forecast for a few days! 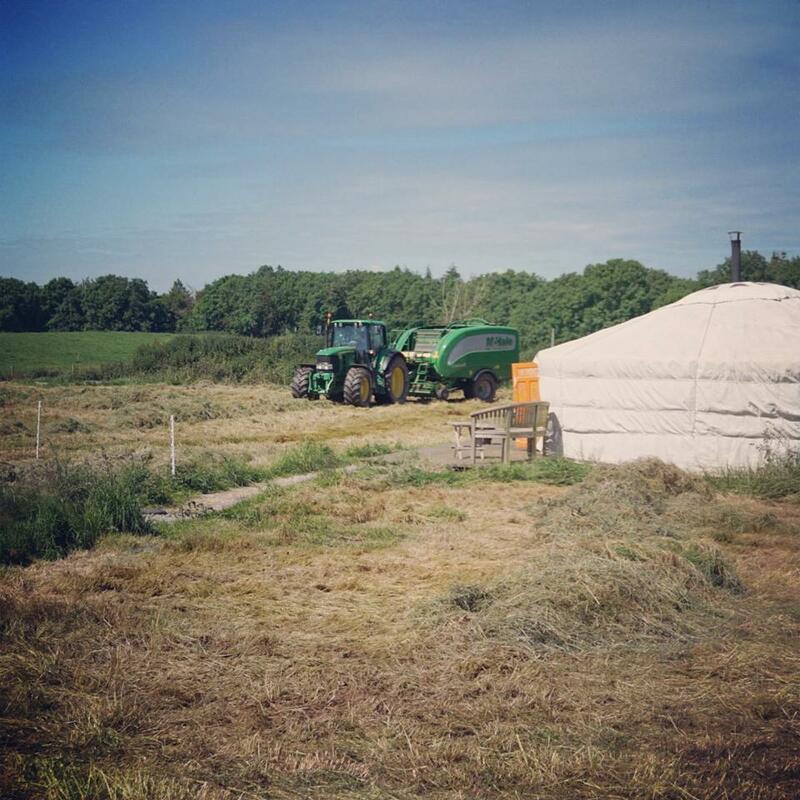 Mark was also busy this week mowing the yurt field – this has been a bit overdue, so the grass had been getting very long! It’s now looking all neat and tidy, but no doubt will need doing again in a month or so! 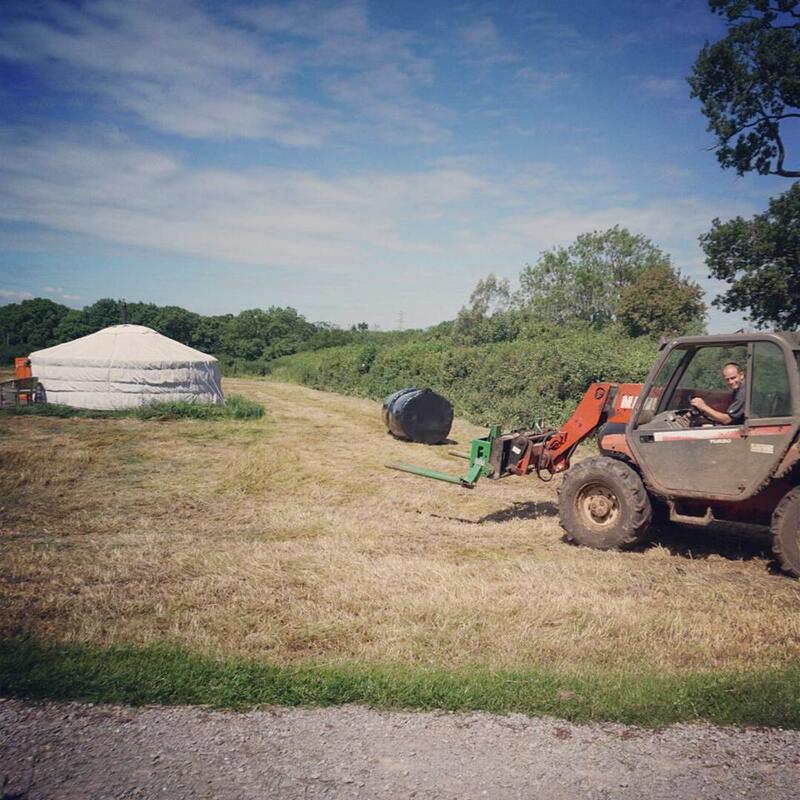 Today we had the grass made into silage bales, which we can either feed the herd over Summer if the grass stops growing in all this lovely sunshine, or we can keep until the winter to help feed some of our out-wintering heifers and dry cows.